Should You Always Trust Your Doctor? The other week a guy came in to see me about his foot pain. He limped in, barely able to walk, all the way to the treatment room. The pain had been going on for around 10 days. “Go home, rest it, ice it, and take some anti-inflammatories”. So when the pain wasn’t getting any better he came to see me. He sat down he took his shoe and sock off to expose his foot. Normally people come in who are in pain, with nothing to “see”, apart from maybe some swelling or redness. On this occasion however something nearly resembling a foot was staring back at me! [Read more…] about Should You Always Trust Your Doctor? There’s a film out at the moment called The Martian. It’s an absolutely brilliant film, filled with humour, suspense and a lot of Matt Damon. If you haven’t seen it yet you should, and beware, this email may contain some spoilers. They presume him to be dead and evacuate Mars in a hurry before it’s too late. Are You Injured Because You’re Weak? Or Weak Because You’re Injured? Around this time of the year my training starts to slack off and I start to become a weaker, chubbier version of myself. But I’m not the only one… [Read more…] about Are You Injured Because You’re Weak? Or Weak Because You’re Injured? And you know what, this is so true. There are times in practice when us practitioners can see what the problem is. Does Kinesio Tape Really Work Or Is It Just For Looks? You may not know what it’s called but you have probably seen it. If you have seen any sport on TV over the last several years you will have seen various athletes with coloured tape positioned over certain muscles or joints. That’s Kinesio Tape, Rock Tape or K-Tape (different brands call it different things but they are all much the same stuff). 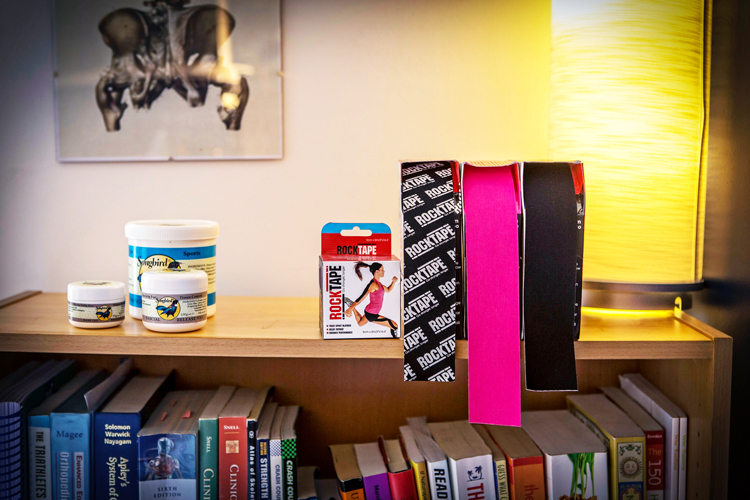 [Read more…] about Does Kinesio Tape Really Work Or Is It Just For Looks? Recently I met someone who was complaining of suffering with constant low energy. Do you know what she did? Well instead of thinking about diet or lifestyle the first thing she did was to try some supplements to help give her energy! The thing is they were just some standard multivitamin supplements with added Gingseng. Supposing they do help at all, which I doubt they will, they will only be masking the real reason why this lady was tired in the first place.